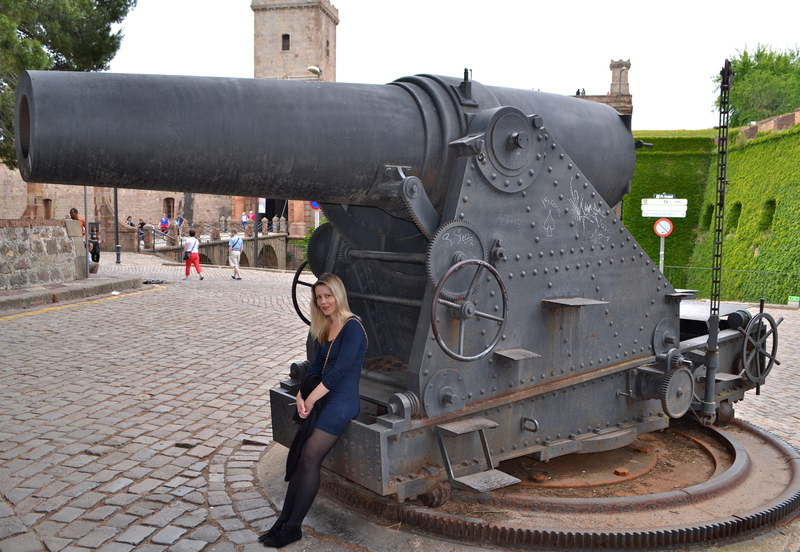 Barcelona is one of my favourite cities in Europe. Cosmopolitan and chiq, I could easily spend a lifetime exploring this city and taking advantage of endless siestas, tapas feasts and free-flowing cava. But you need to scratch beneath the surface to find the city’s real gems. 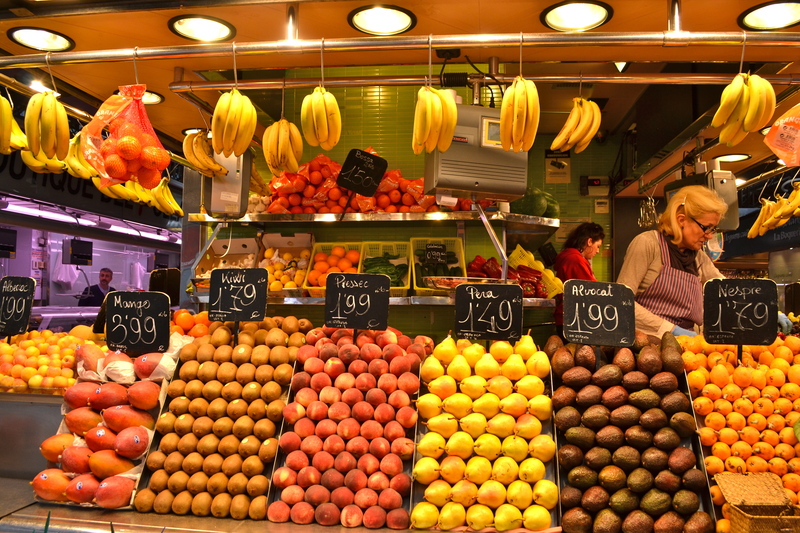 By staying clear of typical tourist traps like La Rambla and trekking into slightly foreign territory you may be lucky enough to find a local basement tapas joint or a speakeasy hidden inconspicuously in a third floor flat. 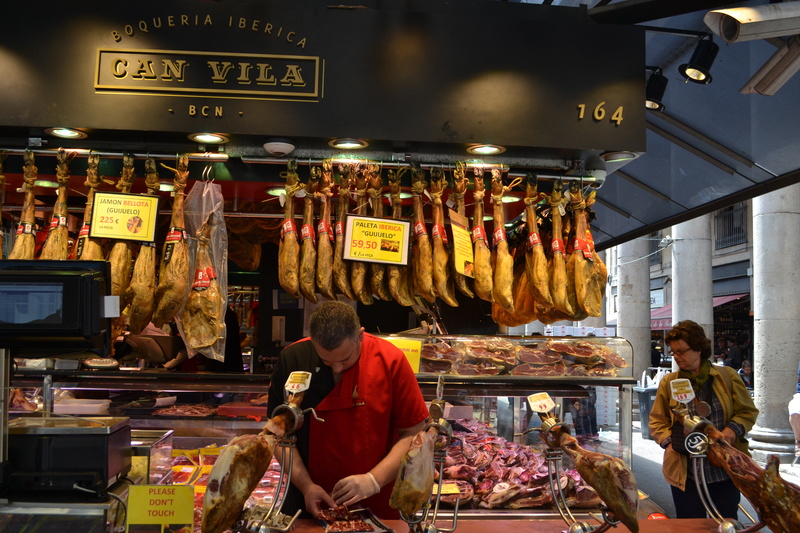 This all adds to the charm that is Barcelona. 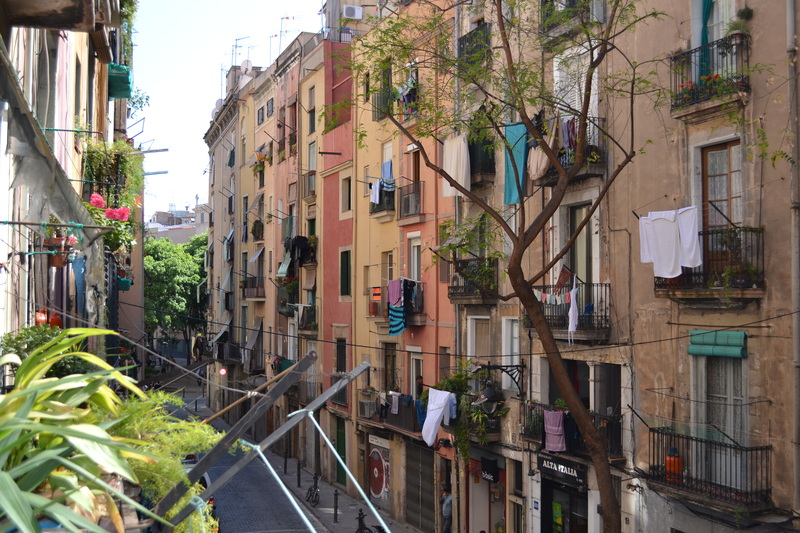 On my most recent visit, I stayed in the El Born district which is home to some of Barcelona’s best bars, restaurants and boutiques. 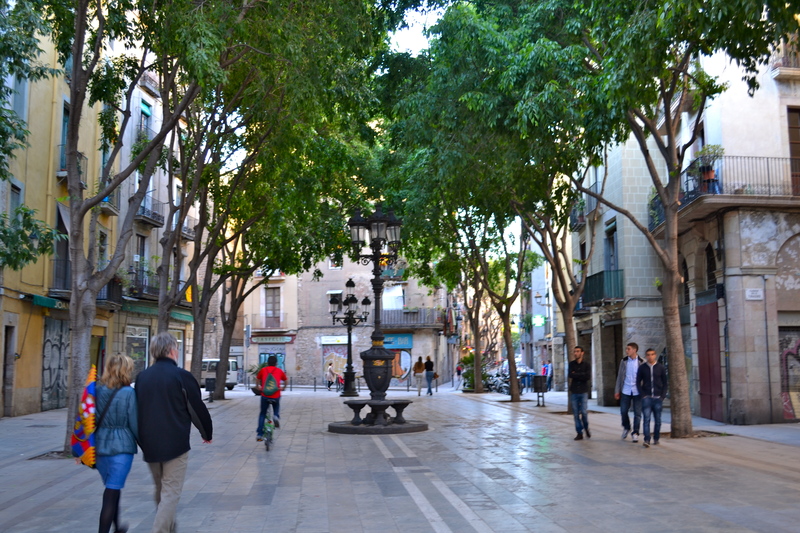 Despite its humble beginnings, it has grown into being one of the most fashionable areas in Barcelona. It may be trendy but it’s still full of character with its narrow tree-lined streets filled with colourful housing, bustling markets and street art. 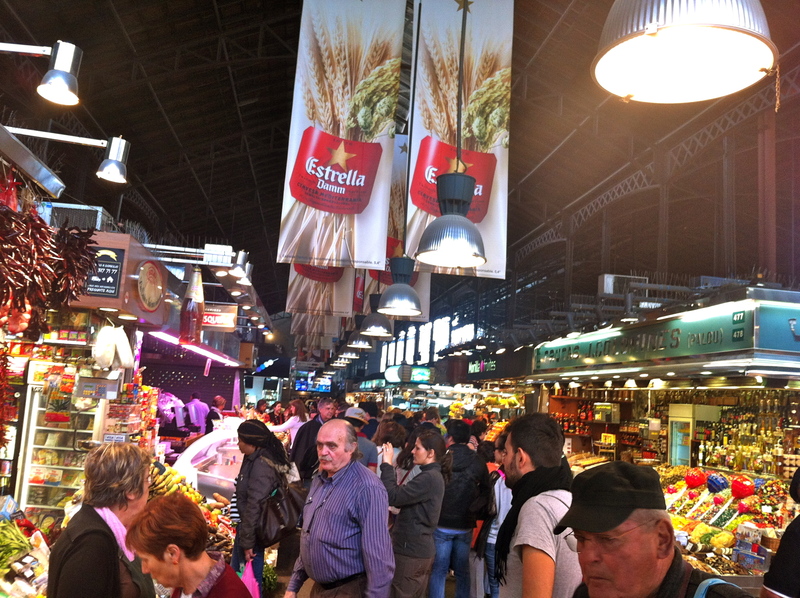 I love eating in Barcelona! There is always a restaurant for any taste and budget. 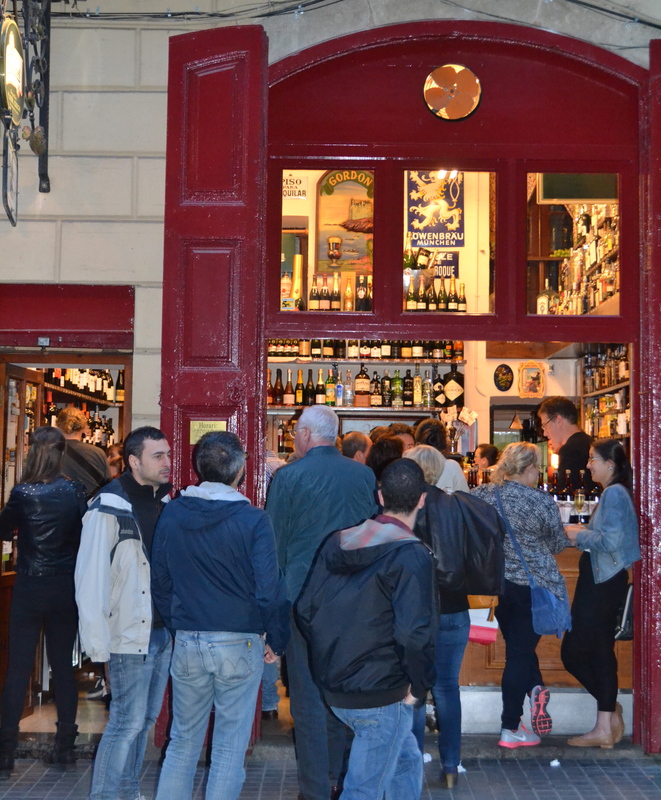 Catalans don’t typically spend a lot of money on eating out, so the city is great for cheap and cheerful tapas bars. Quimet & Quimet is a tiny tapas bar near the Paral-lel metro station. 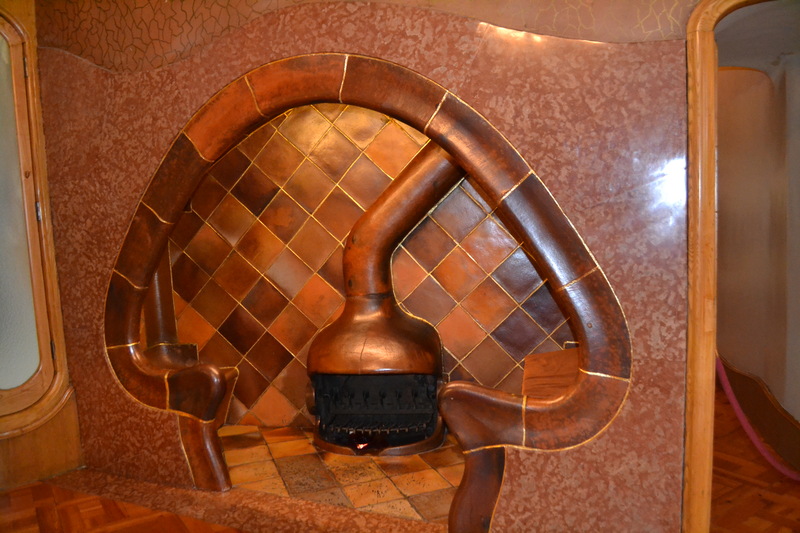 It looks more like a wine bar, with countless bottles of wines and spirits lining the walls. Don’t be intimidated by the rowdy atmosphere and slightly claustrophobic dining space – the food here is great! The specialties are the montaditos – sculpted tapas served on bread. Unfortunately it’s standing room only but this all adds to the charm of the place. Tapas 24 is rumoured to be one of the best tapas bars in Barcelona. Popular with tourists and locals alike, this restaurant serves up traditional Catalan delicacies with a playful twist. So if you are after some moreish croquettes, salt and pepper squid or some foei gras mini hamburgers to sink your teeth into, this is the place to go. 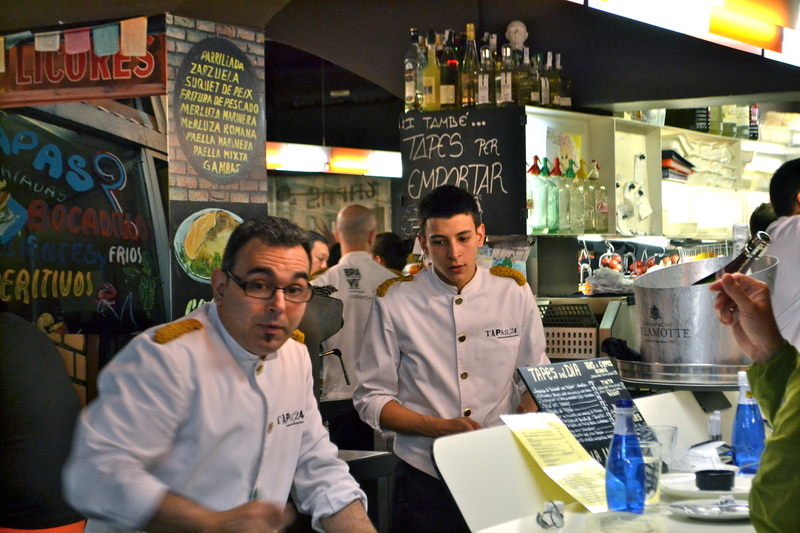 El Xampanyet is one of Barcelona’s best-loved tapas bars nestled in the El Born district. But this bar isn’t just famous for its tapas, its name comes from the wine they serve here – a sparkling cava called Xampanyet. Expect traditional Catalan tapas in an authentic, laid back atmosphere. If you are looking for a restaurant for a special occasion or fine dining, you can’t go past Cinc Sentits. Chef Jordi Artal’s cuisine is rooted in Catalunya’s culinary traditions and utilizes a variety of contemporary techniques to delight the diner’s five senses. Named one of the six best new restaurants in Spain shortly after opening, Cinc Sentits was awarded a well deserved Michelin star in 2008. Baluard bakery in Barceloneta is not just any bakery. Claiming “no two loaves are the same”, this bakery has 20 different types of bread available. 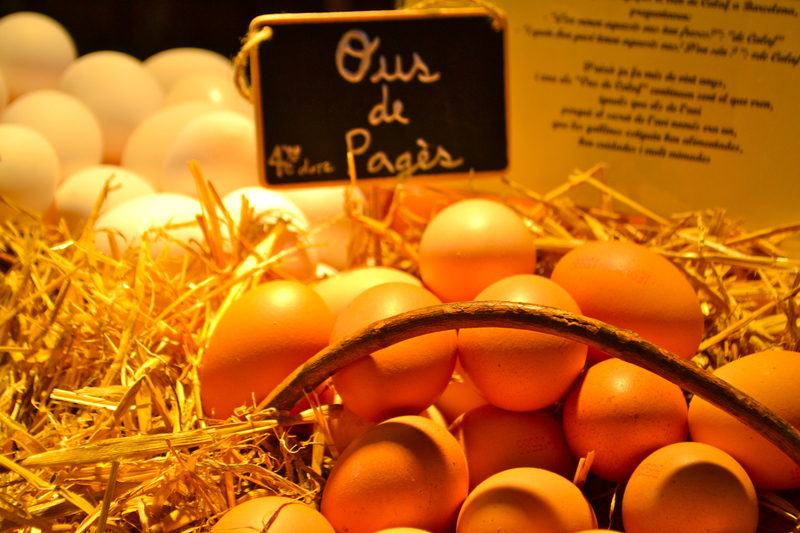 Famous for their tasty breads and pastries which are baked fresh daily on the premises , you will lining up with the locals to pick up bagfuls of freshly baked goodies each morning. 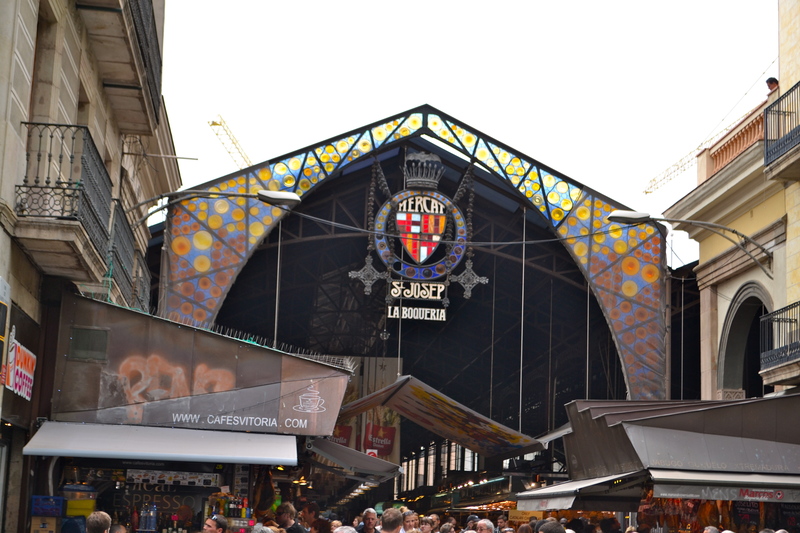 Be prepared for an indulgent assault on the five senses at La Boqueria, Barcelona’s largest market. 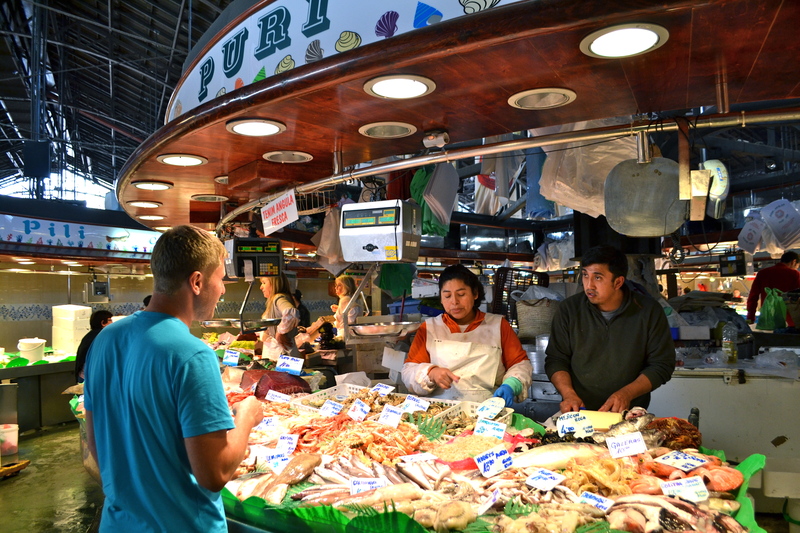 Formerly a peddlers market, it has transformed itself into a modern market full of life and colour with stalls ranging from fruit and vegetables to meat and fresh poultry. If you are looking for a traditional English breakfast you are likely to be disappointed in Barcelona. The Catalan version of breakfast is usually a cafe con leche (espresso coffee with steamed milk), a roll, croissant and some cheese and/or jam. And this is at best! After a long drinking session, I needed something to satisfy me – a space that only a good brunch can fill. I eventually found Milk Bar, a cosy cafe hidden down a narrow alley in Barri Gotic. Run by an Irish couple, this venue is designed like a millionaire’s drawing room with plush couches, gilded vintage photo frames and eclectic wallpaper by 50’s designer Florence Broadhurst. Here you will find eggy toast topped with creamy greek yoghurt and mixed berries, gigantic american style pancakes with maple syrup and a traditional big breakfast washed down with a bloody mary that can satisfy the biggest of hangovers. Barcelona is home to some of Europe’s best clubs and bars. Whether you are looking for a classy cocktail bar or to rock out to heavy metal, there are venues to suit any style or budget. Dry Martini is quite possibly one of the best cocktail bars – ever! 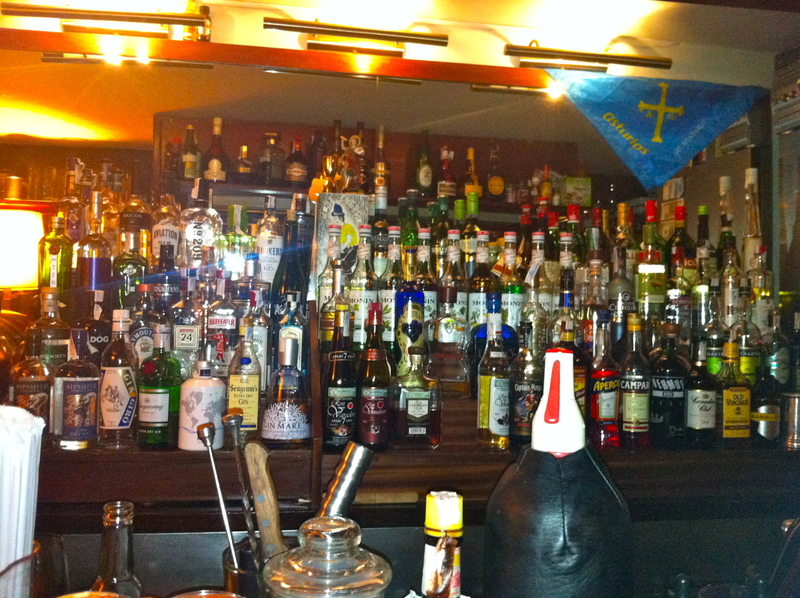 Opened in 1978 this bar is part of the Javier de las Muelas empire. These guys know how to make a good cocktail! In typical prohibition style with luxurious banquettes, wooden panelling and mood lighting this bar oozes style and class. The bar tenders who are dressed in dapper white coats, take the drinks business seriously but be prepared to pay the price. If you are looking for something a little different, think no further than Bar Tequila .How many bars come with your own set of headphones you can rock out to while downing a tequila slammer? 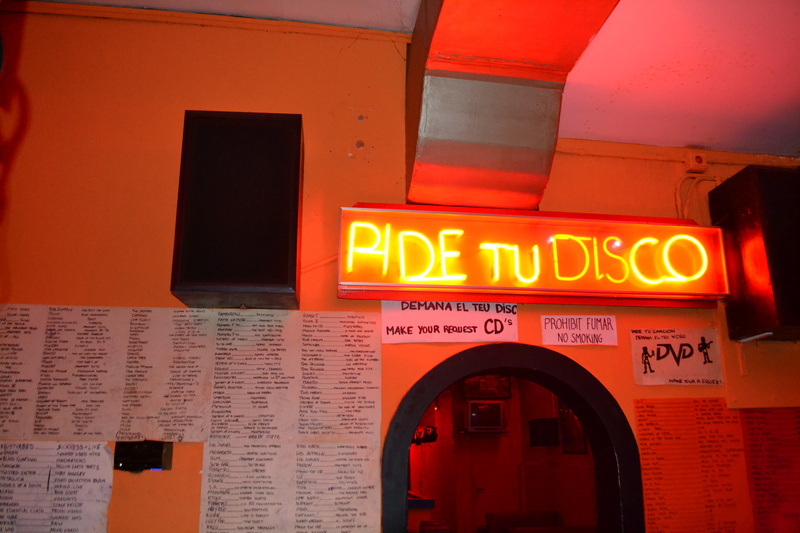 Just write your song request on a note at the bar and pass it through the hole in the wall to the DJ to get your songs played. Find your way to El Bosc de les Fades and transport yourself to an enchanted rainforest inhabited by fairy lights, waterfalls, gnomes and other unexpected creatures. Take a seat under the magical trees and listen to the sounds of the forest and discover the secrets this bar can offer. The Pipa Club may be hard to find and get in to but it sure as hell is worth it. Ring the buzzer after 11pm to access this speakeasy hidden inconspicuously in a third floor flat. You will feel like you have been transported back in time to a Sherlock Holmes era filled with cigars, dim interconnecting rooms and a billiards table. If you are a rum fan, make a bee line to the Caribbean Club – a nautical themed bar in the heart of Barcelona near La Rambla. After a few drinks (warning – they make them strong here!) you may feel like you have been kidnapped by Jack Sparrow himself. 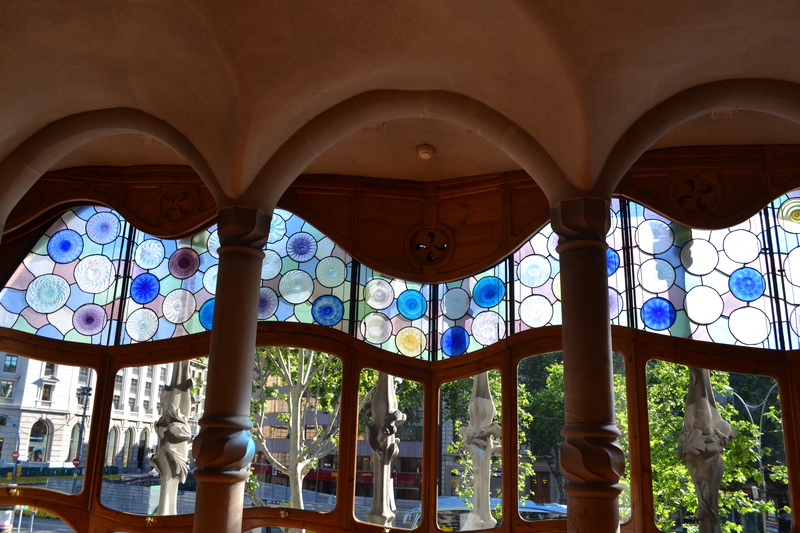 No visit to Barcelona is complete without seeing some of Gaudi’s jaw dropping architecture. 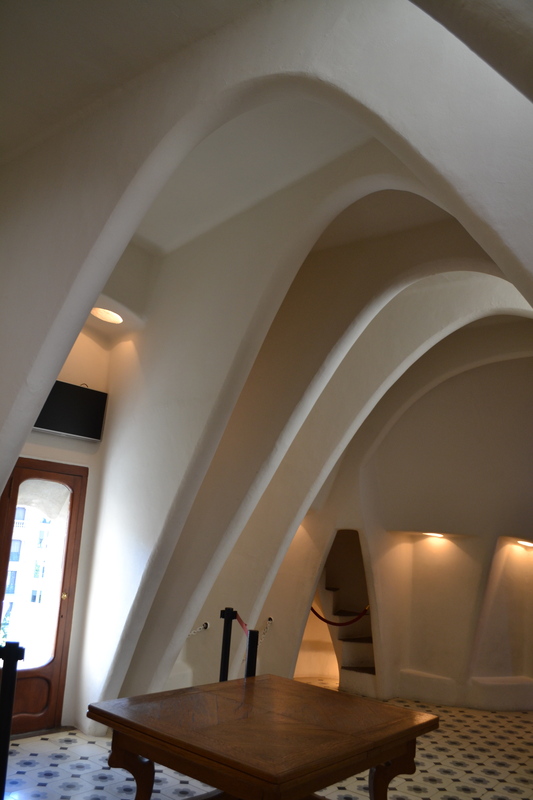 Gaudi definitely wasn’t one for straight lines and Casa Battlo proves just that. Commissioned by the textile industrialist Josep Battlo, the building is not only visually brilliant but is functional. Known by many as the “house of bones”, everything from the mosaic tiled chimneys to the hallucinogenic stained glass window literally leave me speechless. 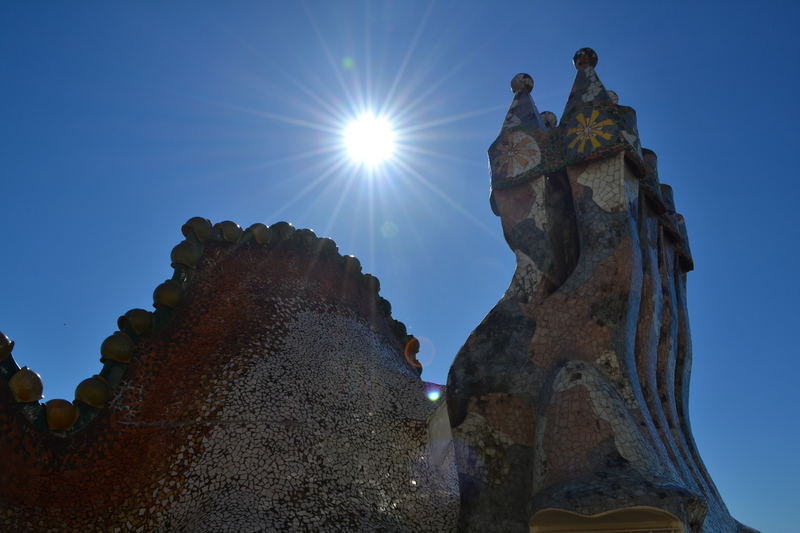 A visit to Parc Guell always transports me back to my childhood. I could spend hours exploring this playground of incredible mosaics, twisted stonework columns and Hansel and Gretel gingerbread houses. And the view from the top is incredible. 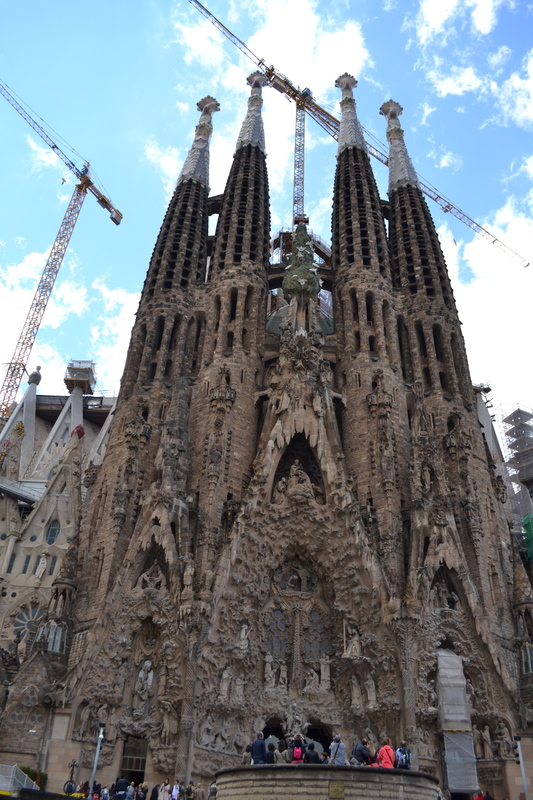 The awe inspiring La Sagrada Familia is one of the world’s architectural masterpieces. Despite it being under construction for well over hundred years, its sheer grandness is out of this world. 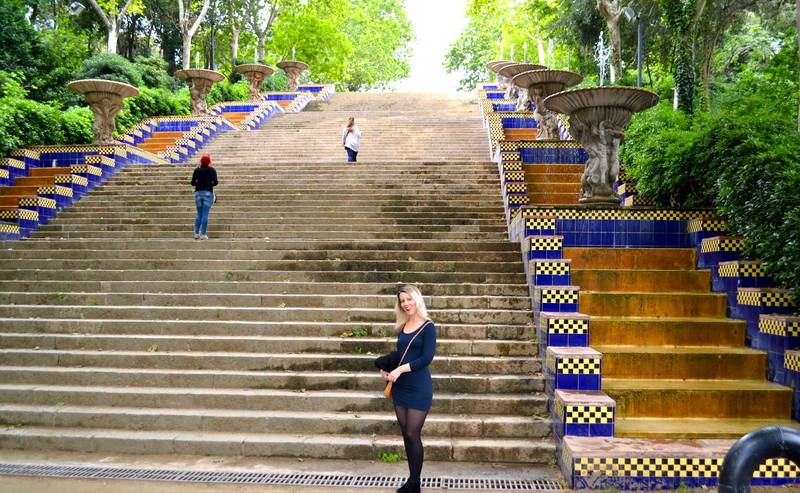 If you are feeling energetic climb up to Montjuic Castle, a one time fortress which boasts 360 degree views over Barcelona. 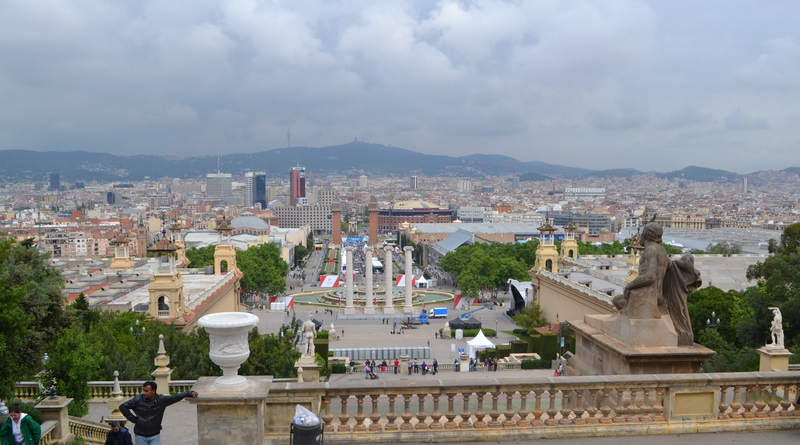 On the way up, make sure you stop at the Museu Nacional d’Art de Catalunya which has an extensive range of Catalan and European art and the manicured botanic gardens. 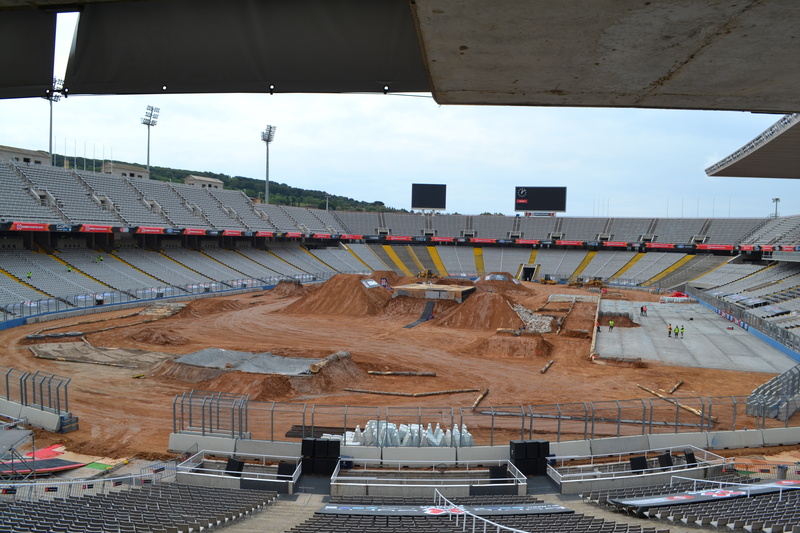 You can also visit the Olympic Stadium where you can transport yourself back in time and imagine what the stadium would look like in all its glory. Unfortunately it looks a little worse for wear now. For people feeling weary from all the walking, rest assured there is a cable car at the top. In the evening, make your way to Font Magica which sweeps up the hill from Placa Espanya to the grand facade of the Palau Nacional. The 15 minute spectacle is described as a mystical feast for the senses full of colour. Unfortunately, the fountain was closed during my visit so make sure you check the website for opening times. 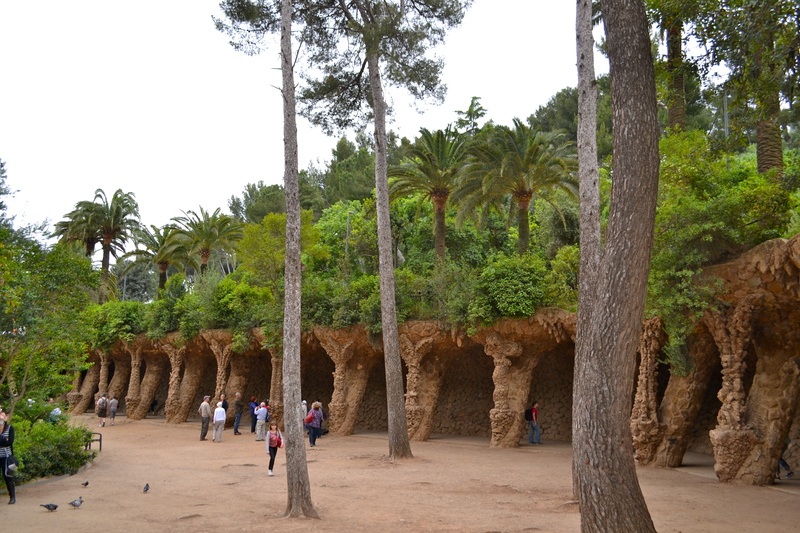 Besides Parc Guell, Parc de la Ciutedella is my favourite park in Barcelona. 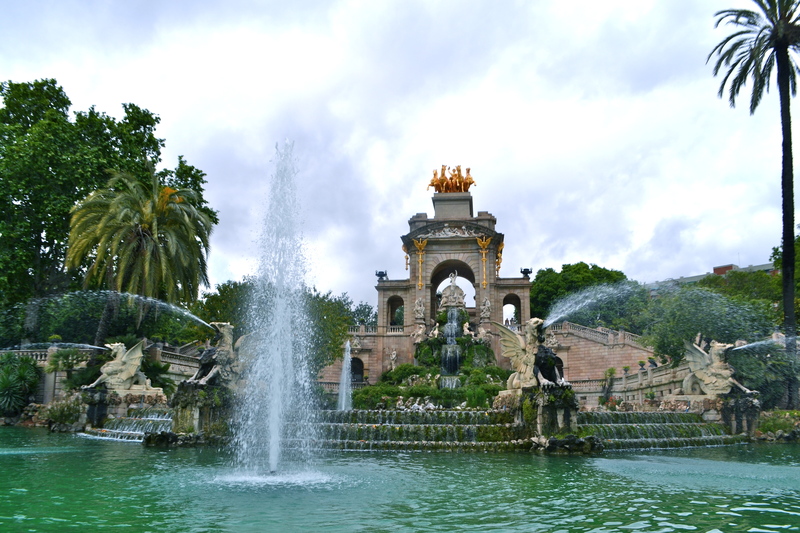 The 70 acres it inhabits is home to a zoo, the Parliament of Catalonia and a magnificent fountain. On a sunny day, take a picnic and sit in its luscious surroundings. After a long day of sightseeing, unwind by heading to Barcelona’s city beach for cocktails, sun bathing and a swim. These were some of my highlights from my most recent trip. 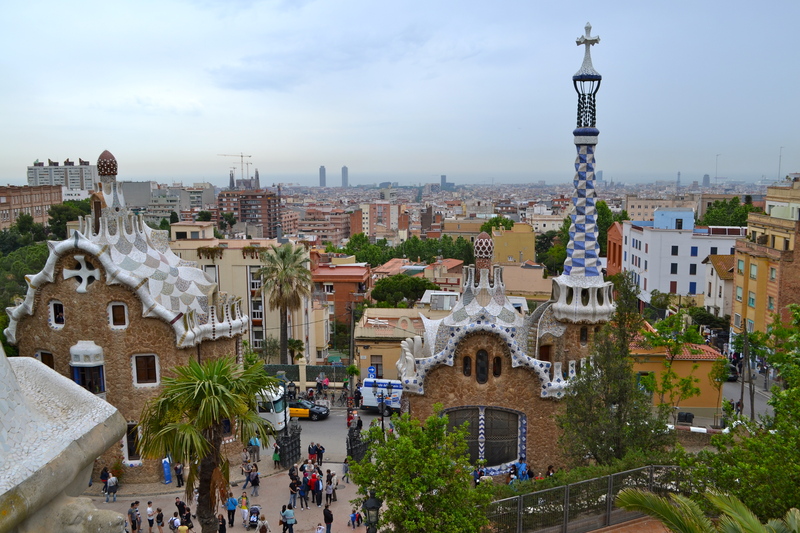 What are your favourite things about Barcelona?